"Would he have allowed Ponting and Hussey to regain their form? And most importantly, where was he? All these questions made us head straight to Mohali. Finding Bhajji amongst the other Turbanators in the nets, was like finding an English speaking player in the Pakistan cricket team. Finally we zeroed down to the nets, where we heard the resounding thuds of the ball finding the sweet spot of the bat. "Harbhajan must be bowling there" I said to myself. After the exchange of pleasantries I asked Bhajji if I could get some juicy insights into his daily schedule so that we could publish it here. After some heated negotiations (involving, at some stage, requests for complimentary passes for next year’s "Sunburn festival" in Goa) Bhajji agreed to share an account of one day in his life for an undisclosed sum. The sum is undisclosed on Bhajji's request but we can inform you that it is anywhere between Gautam Gambhir's test average on the recent Australian tour and Munaf Patel's IQ. 6 am: Woke up early morning after a nightmare. Dreamt of Kevin Pieterson hitting me out of the park again and again. My bowling figures read 10-0-100-0. While taking the cap from the umpire, I see Sachin giving me an envious look for the 100 against my name. It starts raining. I start running towards the pavilion, more with the fear of getting hit than getting wet...KP runs after me...I keep running...the pavilion seems miles away, the rain is pelting down... I am completely wet...and I wake up...Phew!! No rain, no match and better still no Kevin Pieterson...and it was the sweat that drenched me. 7 am: I reach the Mohali Grounds. I meet my coach Arora, who takes me to the nets. He tells me not to get affected by what media is saying about my form. He says, "The key to success is to keep your mouth shut and let your game do the talking. When you open your mouth, you don't perform." 8 am: I start bowling and get hit by these new Ranji players. This younger generation has no respect for age, experience, or stature of a senior player. "Turn the ball, Bhajji!" says my coach. "I can't" I reply. How can I? The only things I've turned over the last few months are the parathas on the tawa at home! One Under-19 Cricketer walks up to me and with a smirk tells me "paaji ab carrom ball chalta hai, doosra nahi". No respect for the senior members. I couldn't imagine talking to Bishen Singh Bedi like this in my younger days, even if I'd understood what he was saying. 11 am: The carrom ball thing gets stuck in my mind and I slowly sneak into the Indoor gymkhana and play some carrom. Maybe I should change with times if I want to make a comeback by displacing Ashwin. I don't want to lose my place in the team, I don't want to be an umpire, then a commentator and later end up hurting myself breaking window panes – in other words, I don't want to be a Maninder Singh. I just can't seem to pocket the coins. A decade back, I was pocketing Australian wickets. Cricket is a great leveler they say. 1.30 pm: I am off for lunch at the players' enclosure. My favourite Maa-ki dal and Sarson da saag is on today's menu. I order for more Maa-ki dal and the waiter unfortunately hears only the first part and the atmosphere gets vitiated as all waiters are up in arms against me. I had forgotten that "maa-ki' is a bad word everywhere except Australia. My coach tries to diffuse the situation and asks me to keep my mouth shut. as a result of which I can't eat further. I don't even ask for more makki di roti to avoid further misunderstanding. 2.30 pm: I get a phone call from my "just good friend" Geeta Basra. She says we have to attend a film function. Good thing about these filmy people is that no one asks me about my lost form. Some don't even know I play for India. They think all India players play for the Kolkata Knight Riders. On the other hand the watchman at Mukeshbhai's Antillia mansion refused to recognize me when I was thrown out of the team. The same watchman had got his and his family's photos clicked with me when Mumbai Indians won CLT T20 trophy. How people change in your tough times. 3.30: I am hurt by India's loss in Australia though my chances of coming back in the team look brighter. Today I heard some kids say that if I were there in Sydney Test then Clarke would have completed his 400 in lesser time. It hurt. More than me Dada (Saurav Ganguly) must be more hurt looking at the debacle through the commentators' box. Today he called me up and I was emotional. He asked me to continue my net practice but emphasized that I should concentrate on batting as there are more chances of me replacing Laxman and Kohli than replacing Ashwin. signaling me to keep my mouth shut, but I am confident of handling the media well. Then someone questions me about the delay in Sachin's 100th International century and I say that he should get the monkey off his back. Oops. 6.30 pm: Visited my family doctor on account of the terrible dreams I get every night of batsmen hitting me out of the park. Last night it was KP, Sometimes its Andrew Strauss and sometimes its Jonathan Trott. On bad days, my dreams feature Marcus Trescothik and Shivnaraine Chanderpaul. The doc asked me to watch "Singh is King" as a confidence builder but how to tell him that Katrina aggravates my situation and I have lapses in concentration when I bowl? 8.30: I am back at Mohali grounds for an ad shoot. I’m supposed to bowl the batsman with a classic off spinner's delivery and punch my fist through the air. The ball just refuses to turn. Finally the ball is bowled by a young Ranji probable who bowls "the one that comes in". I get to punch through the air, though. I am determined to make it large. 9.30 pm: Off to bed early. Lot of things cross my mind. 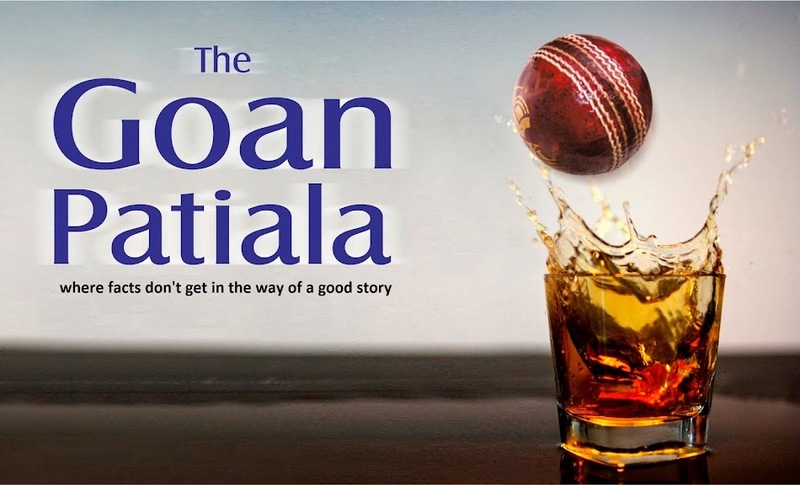 What's the big deal about losing the "doosra"? I have Geeta Basra. I don't believe the coach when he tells me to keep my mouth shut. 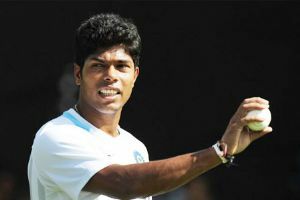 Umesh Yadav keeps his mouth open all the time and yet he performs so well. I thank my stars I am not in Australia with Australian batsmen milking the Indian bowlers. As I am falling asleep I hope I don't get dreams of bowling to Michael Clarke inching towards his 400. Very suave and smooth satire! Thanks! !